1000 handfolded boxes, contents included! 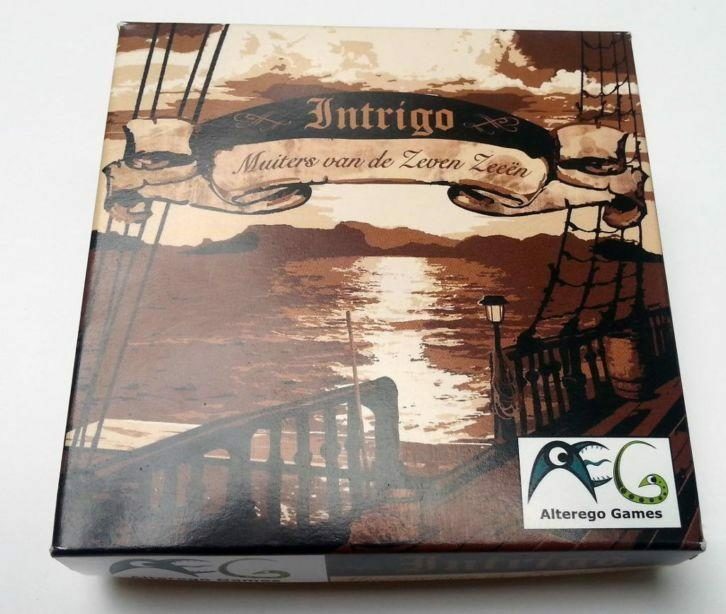 Mutineers of the Seven Seas, (Muiters van de zeven Zeeën) is our first ever game, and its a cardgame! Inspired by nightlong game sessions with our friends playing intrigue games, Dominic and Matthijs created their own intrigue game. Creating required quiet a lot of proverbial bloot sweat and tears, as we had decided to print, cut and fold all the parts of the game ourselves. 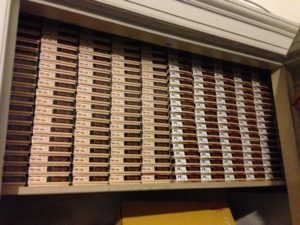 We invited all our friends and family and spent nights upon nights folding boxes, assembling playing cards and making sure every manual was inserted in the box neatly. 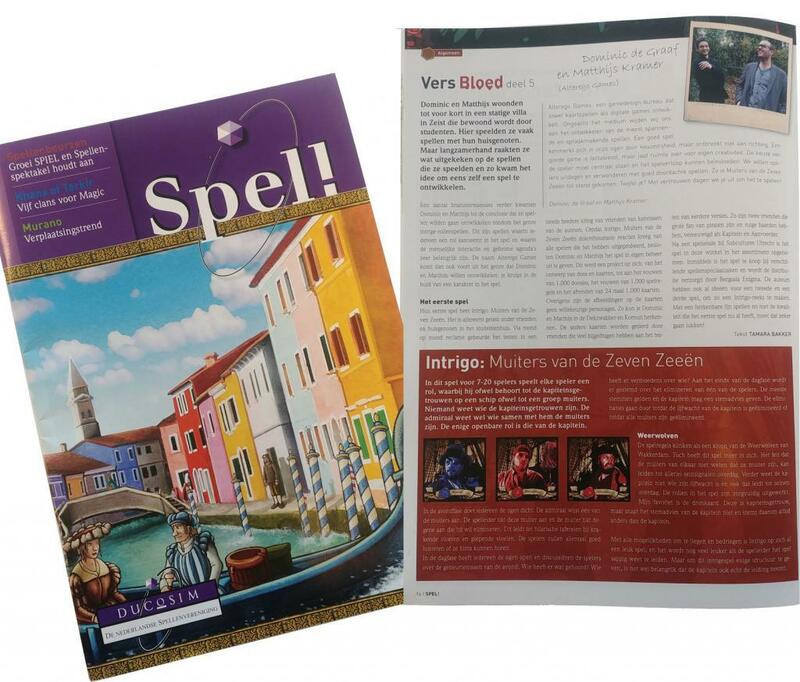 But the efforts payed off, and we now have a thousand copies of the game, and even landed an interview in the great magazin Spel! Translates to: Game!) by Ducosim. We hold playing nights all over the Netherlands, to promote the game and of course present it with great pride to the gaming community out there. The feedback has been great, and the stories of the gaming nights people had with our game have been awesome to hear. Check out all of these great stores that currently have our Muiters in stock!